We’re pleased to announce that our staff are taking part in a 15-kilometre walk in order to raise awareness of an incredible charity which is close to many people’s hearts. Hinks is proud to be supporting the Hull & East Yorkshire branch of Sands, who do amazing work supporting families in our area affected by stillbirth and neonatal death. Tragically, the rate of stillbirths and neonatal deaths is above the UK average in our region. Sands offer free support to parents, families and friends in a number of ways, no matter how long ago the loss occurred. These range from providing ongoing one-on-one support and monthly support meetings, arranging twice-yearly memorial services and Christmas parties for children who have lost a sibling, to working with healthcare professionals to improve local bereavement care, funding bereavement care training for midwives and midwifery students, and providing essentials for use in bereavement rooms at the Hull Women & Children’s Hospital. 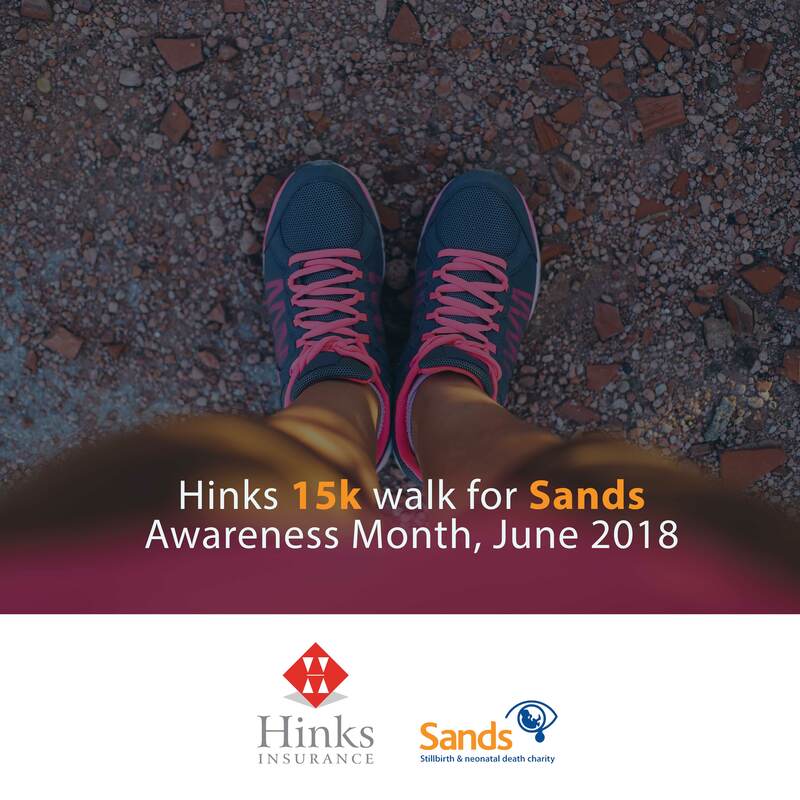 We’ll be taking on our 15k challenge on 23rd June 2018 in support of SANDS Awareness Month throughout June.